my friend Robert bought a new instrument some days ago: A 4 inch f/11 ED apo. This is a very fine instrument and ver comparable to my TMB Apo. We compare our observations as often as possible. This night we could not observe side by side. But we decided to observe and sketch the same region at the moon. I recommended Campanus and surroundings. It is slightly off the terminator so it doesn't play an important role if between our observations is a difference of one or two hours. I hope you enjoy my result. I observed at 180x. 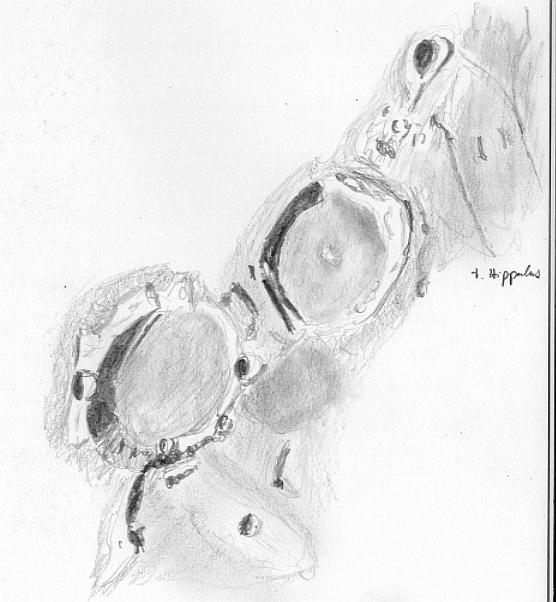 Very fine looking sketch of these craters. I like the terraces on the walls of crater Campanus. You nicely included the Hippalus rilles too. Well captured. I have taken with my rig. Keep up the good work. Have a great day ! Very good sketch of Lunar Craters Campanus and Mercator .